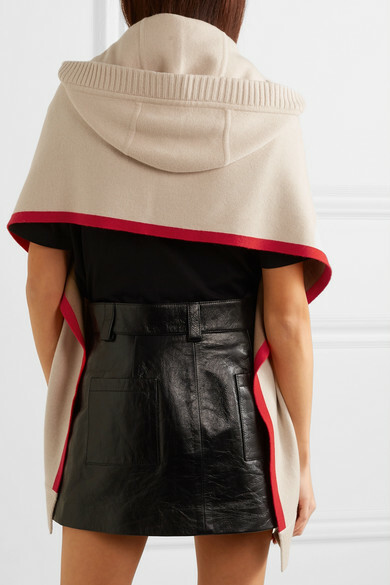 Burberry's hooded scarf has been spun in Italy from a sumptuous cashmere-blend that's really soft and cozy. 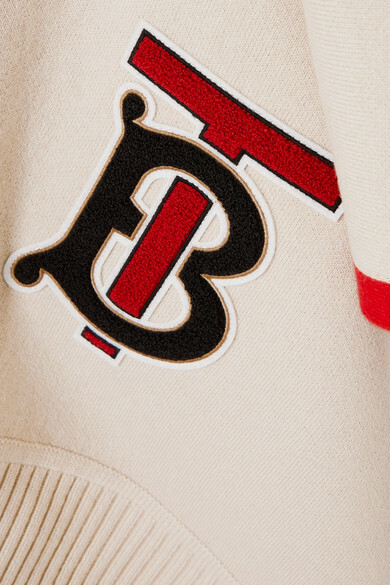 It's appliquéd with the British label's new 'TB' monogram that's inspired by an original drawing Riccardo Tisci discovered in the brand's vast archives. 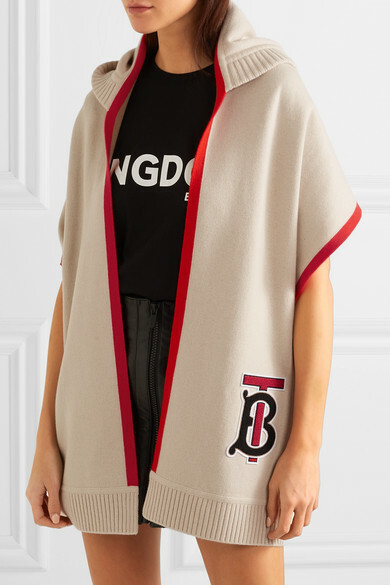 Shown here with: Burberry T-shirt, Miu Miu Skirt, Burberry Shoulder bag, Burberry Loafers, Laura Lombardi Earrings.